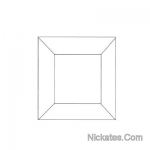 Buy beveled glass squares direct from Nickates stained glass supplies inc.
Beveled Glass Squares on SALE at Nickates Stained Glass Supplies Inc.
Beveled glass squares are available in many sizes. 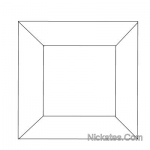 Our high quality square bevels are imported and sold individually or in full bevel boxes of 30. Sizes are approx. Please note: When ordering boxes of 30 bevels occational scratches and chips will be found. 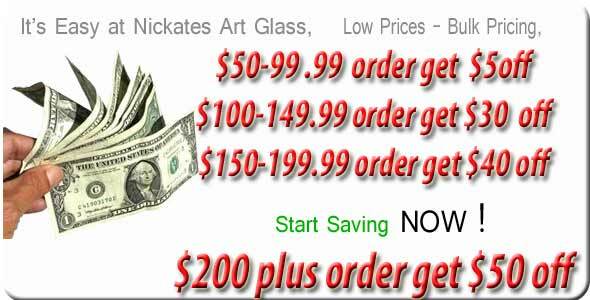 When pricing these cases we took this into consideration. Closed boxes of 30 are not returnable. Imported clear beveled designs and shapes. 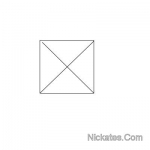 Simple and easy to assemble using foil or lead construction methods. Great for side lights and bevel door projects. All bevels are crystal clear premium grade 3/16" with 1/2" bevel edge. 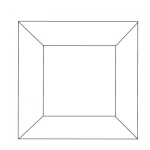 Similar to beveled tables and mirrors. Sizes are Approx. Most clusters are vacum sealed. Not all cluster come with a pattern.